On J.S. 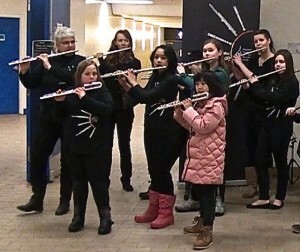 Bach’s birthday (March 21 and into the weekend) musicians all over the world unite to perform free Bach in subways & public spaces, all day & all night, to share our love for our art form and sow the seeds for future generations of classical music lovers. Bach’s birthday (March 21) will be on a Saturday in 2020. Planning to play at Bonnie Doon LRT station and shopping centre. Watch this space for details as things are finalized! 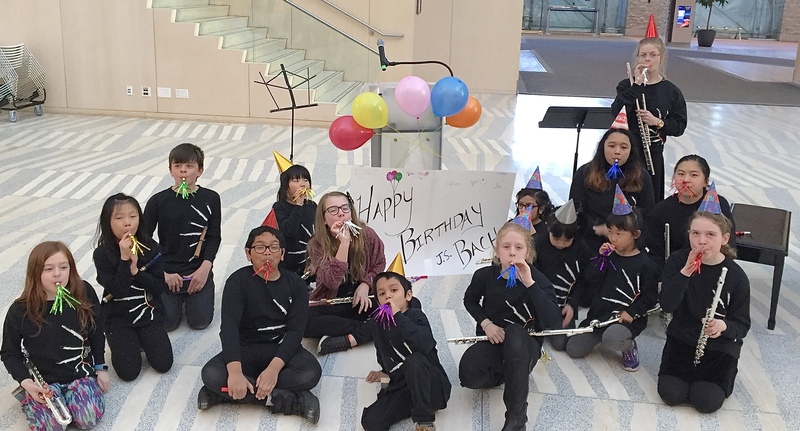 Our 2019 event was at City Hall on March 21, the actual day of Bach’s birthday! So we threw him a party complete with cards, hats, and noisemakers. 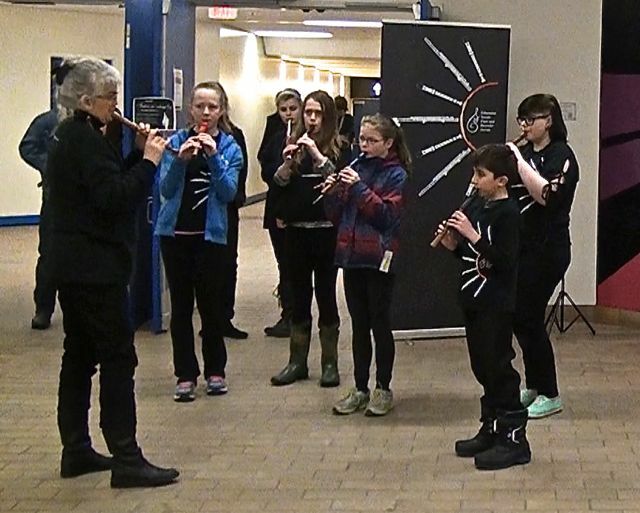 The music was a “lottery concert” (selections drawn at random) of pieces by Bach and his family from Suzuki books 1 through 6 for recorder and flute. 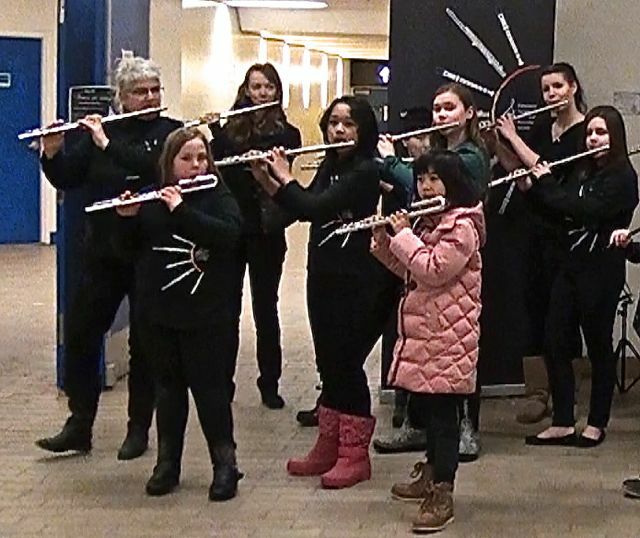 In Edmonton,we were at the City Market in City Hall, and at the Churchill LRT station We started at noon and stopped when we ran out of Bach. The flutes, recorders, violins, violas, and cellos played everything from the Anna Magdelena Bach notebook to the Double Concerto for two violins. Here’s a short video taken by one of our parents: Post. This entry was posted in Community, Concerts and tagged Community, Concerts by esfrs. Bookmark the permalink.